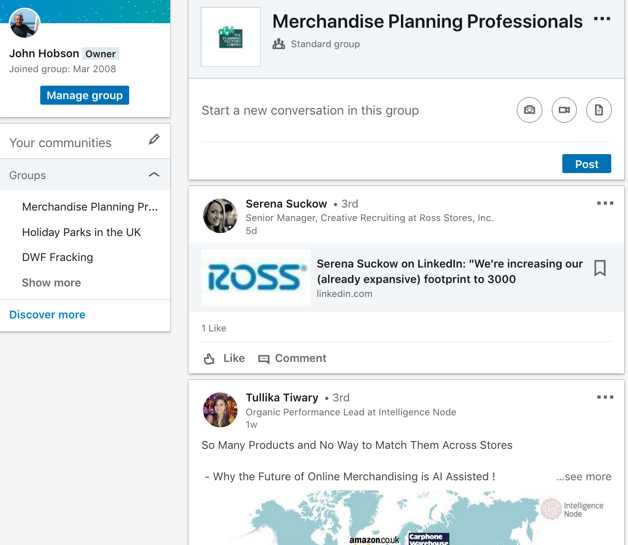 The Merchandise Planning Professionals group has been set up to provide a forum for people working in the Merchandise & Assortment Planning areas. This allows us to share experiences and help each other with technical or process related issues. The group currently has over 15,000 members.